(Fresno, CA) - Suicide is now the second leading cause of death in youth between the ages of 10 and 24. Talking about this topic makes some people uncomfortable but educators, parents and students want to know what is behind a recent spike in teen suicides in Fresno County. ABC30 will take an in-depth look at teen depression. ABC30 anchors Warren Armstrong and Graciela Moreno host a half-hour special, "Children First: Finding Help and Hope; Suicide Prevention" Sunday, April 9, 2017. It airs at 6:30PM. This ABC30 special includes a Fresno mother who lost her son to suicide. She shares the signs of depression that were present but missed. She now counsels and educates families about mental illness. Valley Children's Pediatric Psychologist Dr. Michael Danovsky explains the signs of depression parents should watch for. A Kings County girl who wanted to harm herself shares her story of finding new reasons to live. Learn about the new California law requiring schools to have a suicide prevention policy. Six students from five valley high schools share their insights on the stressors students face today. Tulare County Office of Education has the RESTATE program. It combines suicide prevention and mental illness awareness with visual and performing arts. Clovis Unified School District held a Parent Academy presentation where families learned about youth mental health. Children First is a year-round effort focusing on the challenges, problems and opportunities among our youth in Central California. The program shows how the average person can make a difference in a child's life and highlights local organizations working with kids. 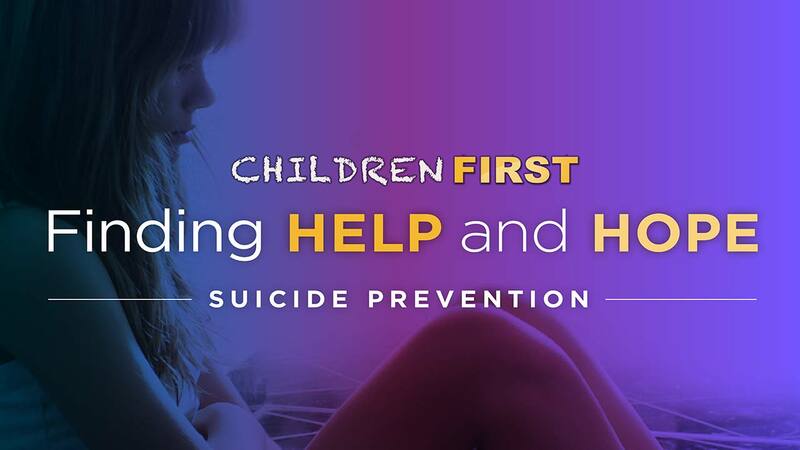 The Children First campaign includes half-hour programs like "Finding Help and Hope; Suicide Prevention", thirty-second public service announcements, and special stories on Action News. ABC30 thanks its partners below for putting Children First in the Central Valley. Studies show that 90 percent of suicidal persons suffer from depression, anxiety or other mental illness. None of these is a weakness. Risk factors towards depression and suicide ideation are most often a culmination of a multitude of stressors which overwhelm a person. Much like a mosaic or puzzle, stressors can be comprised of many parts. They may be thought of as being derived from four categories. Life Experiences - sudden loss, bullying, physical violence, etc.